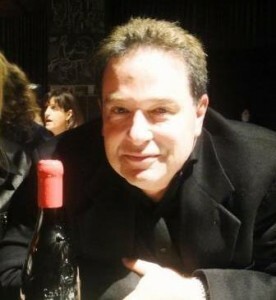 The Wine Cellar Insider was founded and is managed as well as edited by Jeff Leve. The Wine Cellar Insider offers more than 19,000 exclusive, Wine Tasting Notes and Ratings that are unique, detailed and easily searchable! We also feature thousands of exclusive photographs, winery profiles, special guest contributors ranging from chateau owners, wine makers, fellow bloggers, consultants, negociants, retailers and more. Many of which will hang out and answer your questions. All our information is updated all the time. While we focus on Bordeaux wine, we also cover Rhone Valley Wines with a focus on Chateauneuf du Pape and California wines as well. The Wine Cellar Insider focuses on Bordeaux wine. Although we cover other regions as well. Thousands of exclusive, searchable wine tasting notes with ratings, winery histories and profiles, images, in-depth articles, links and up to the minute harvest news. The Wine Cellar Insider also publishes special guest contributors ranging from chateaux owners, winemakers, consultants, negociants, retailers and more. Jeff Leve has traveled to the Bordeaux wine region to barrel taste over 35 times. He’ll be there twice this year. Each visit includes tastings at all the major Bordeaux Chateau and lasts between 2-3 weeks. During those 3 weeks, he tastes and writes tasting notes and reviews on over 1,000 wines! He visits also include several tastings at Bordeaux negociants. He is in Bordeaux on average at least twice a year. Jeff Leve also travels to Chateauneuf du Pape and the Northern Rhone Valley on a regular basis as well as in the Napa Valley. Jeff Leve is a self taught, wine enthusiast who has been tasting, collecting and traveling to wine regions in France, as well as in America for over 20 years. Jeff Leve has given speeches on wine, in China for the Hong Kong Trade Board at the International Wine and Spirits convention in Hong Kong. Our notes and scores are being carried by several of the most important and influential websites all over the world. Numerous other merchants, chateaux and Bordeaux Negociants use them as well. He also writes about Bordeaux wine and the wine market for various publications. In his home city, Los Angeles, he consults numerous restaurants, merchants and private collectors on cellar acquisitions. He’s the former president of the Westwood Food and Wine Society, a Los Angeles based tasting group that has been together for over 4 decades. He is the founder and president of “7 Blind Men”, an important, Los Angeles based wine tasting group, dedicated to tasting wines blind. Aside from wine, he is the president of a broadcasting company: The Mike Harvey Show. His passions include travel, cooking, music, collecting historic artifacts by 60’s rock music artists and his personality filled Yellow Labrador, Hercules, who is better known as Herky by his friends and fans has his own page on this site as well. We prefer you ask wine questions in the Wine and Food Talk Forums but if you want to send wines for reviews, or have business or personal related questions, you can use the Contact page.